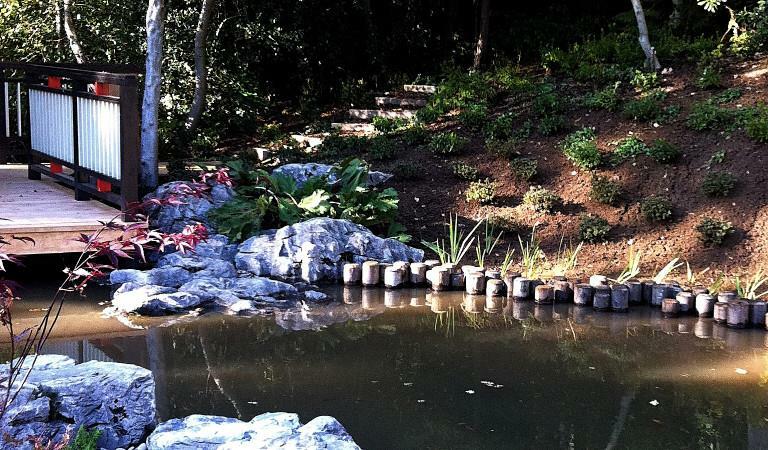 We design, build and repair both man-made and natural streams in Surrey, West Sussex and Hampshire. Stream construction and design is always a challenging prospect and one that we relish. It almost always involves a certain amount of landscaping around the stream to ensure that the finished stream looks as natural as possible in its surroundings. If stone or rock is to be used in creating a stream, its use must be in sufficient quantities and sizes to convince the casual observer of it always having been there. For that reason (and others) it is imperative that any stream is inserted into the ground that surrounds it and not perched precariously atop an unlikely mound or similar construct. In existing lined or artificial streams we are regularly commissioned to search for and eradicate leaks, a process for which we have developed a test protocol. We design, build, plant and maintain streams in Surrey, West Sussex and Hampshire. We offer a nationwide stream design and consultancy service. 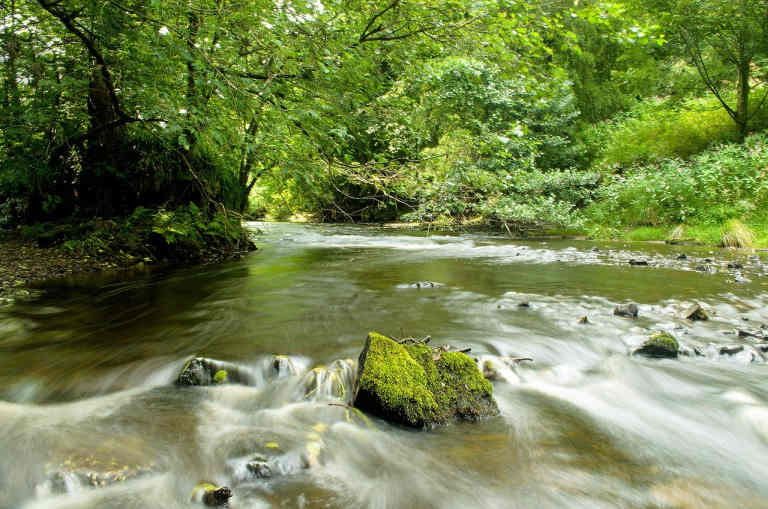 Common works we are asked to undertake on natural streams include silt removal, bank repairs, bypass stream construction, bank-side vegetation management, water quality management and aquatic weed control, repair and construction of weirs and other water control structures.